Fortifiber Flashings | Salmon Bay Sand & Gravel Co.
Salmon Bay stocks a complete line of Fortifiber products including the weather resistive barrier products; Super Jumbo Tex, 2-Ply & Jumbo Tex, flashing products; E-Z Seal, FortiFlash & Moistop and specialty papers; Seekure 891, Red Rosin & Aquabar B.
Moistop PF is the solution of choice when building requirements call for a mechanically-attached flashing product that is unaffected by substrates or job site conditions. Manufactured from a multi-layer composite employing heavy-duty polypropylene woven fabric, and coated on both sides with ultraviolet-resistant polypropylene, the product resists cracking and curling – both before and after installation. 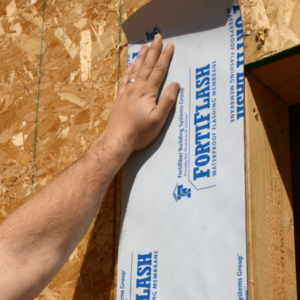 FortiFlash Butyl delivers in the most demanding environments, providing a strong self-sealing barrier to protect windows, doors and through-wall penetrations – as well as non-roofing conditions such as recessed windows, sill pans, pot shelves and parapets. The product’s chemical compatibility with most standard sealants. 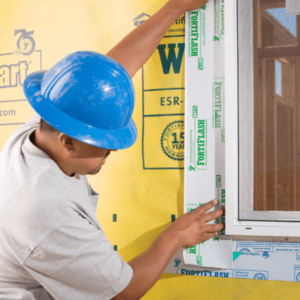 FortiFlash Butyl’s proprietary compound delivers rock solid adhesion at temperatures well below those where other self-adhesive flashing products just won’t stick — while maintaining its protective properties at service temperatures up to 250° F.
Moistop Corner Shield integrates into the wall system to create a seamless barrier in the most vulnerable section of the window installation, the corners. 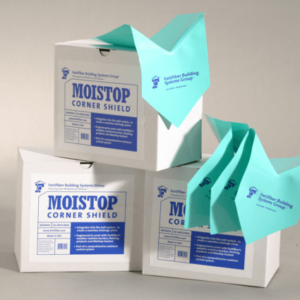 Less costly than sill pans and more user friendly than rigid pieces, Moistop Corner Shield has the flexibility to conform to framing and provide solid protection. The strong polyolefin construction is resistant to job site wear and tear and is manufactured from high grade plastics that are 100% compatible with self-adhesive flashing and membrane products. 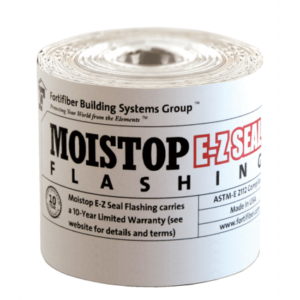 Heavy-duty, powder-coated aluminum kickout flashing diverter is made from 3003 alloy (0.040” thick), welded to create a strong, permanent, watertight joint that performs better than field-formed kickout that is sealed with caulking. 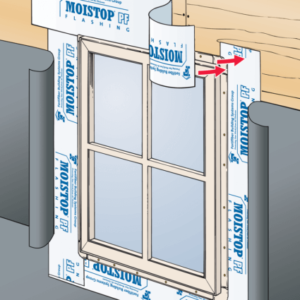 Will not deteriorate like plastic flashing or breakdown due to alkali hydroxides from concrete materials. 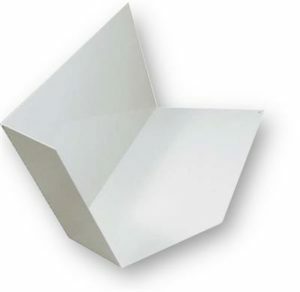 Available in Left-Hand and Right-Hand orientations.